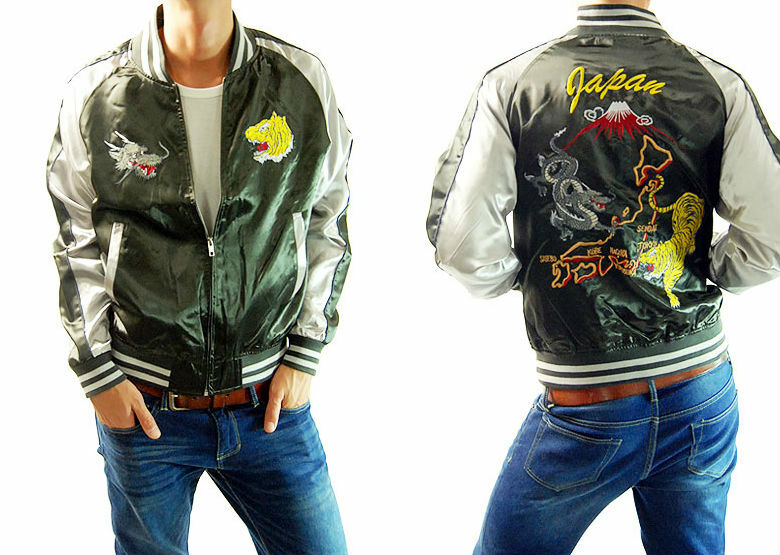 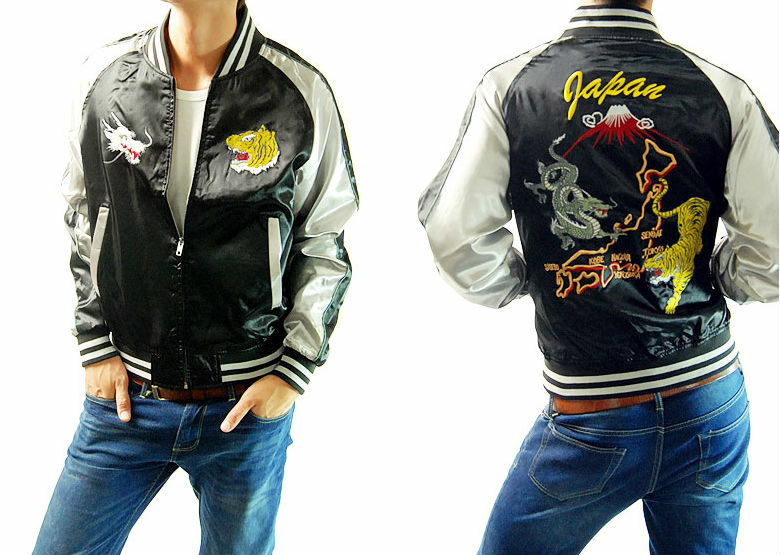 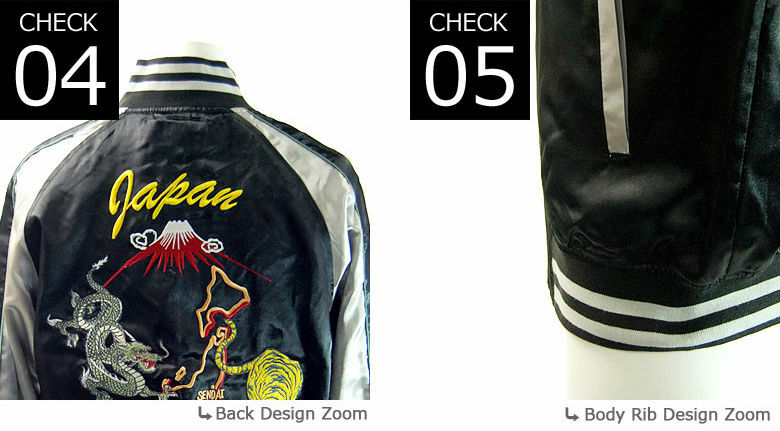 The back of this lightweight satin jacket features a map of Japan and its famous symbols - a dragon, Mt. 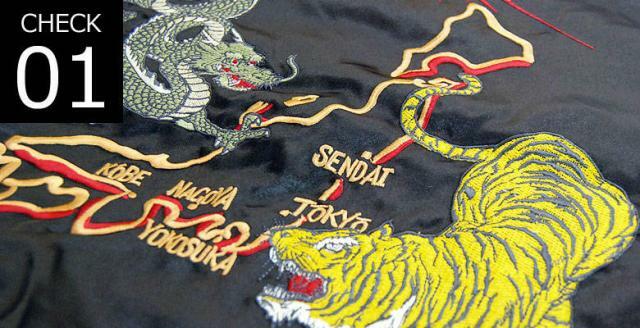 Fuji, and a stalking tiger. Japan is embroidered across the top and the dragon and tiger images are reproduced on the front chest panels. 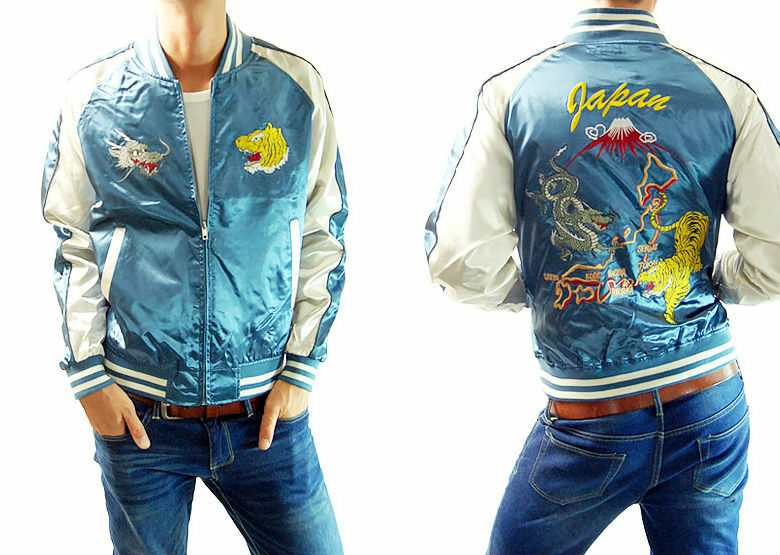 y well with jeans or lots of other things. 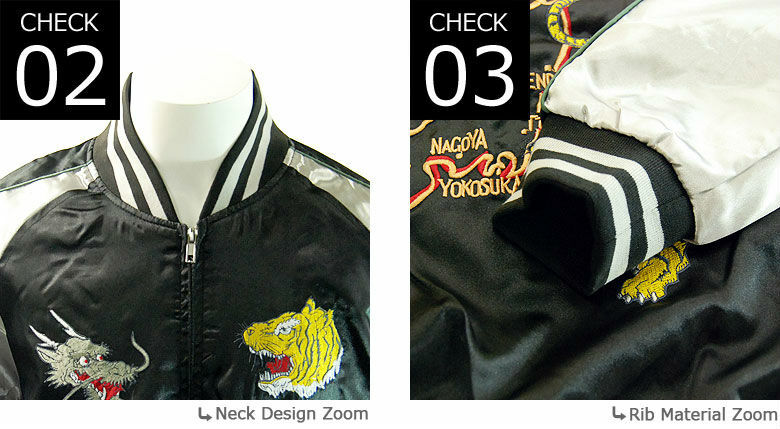 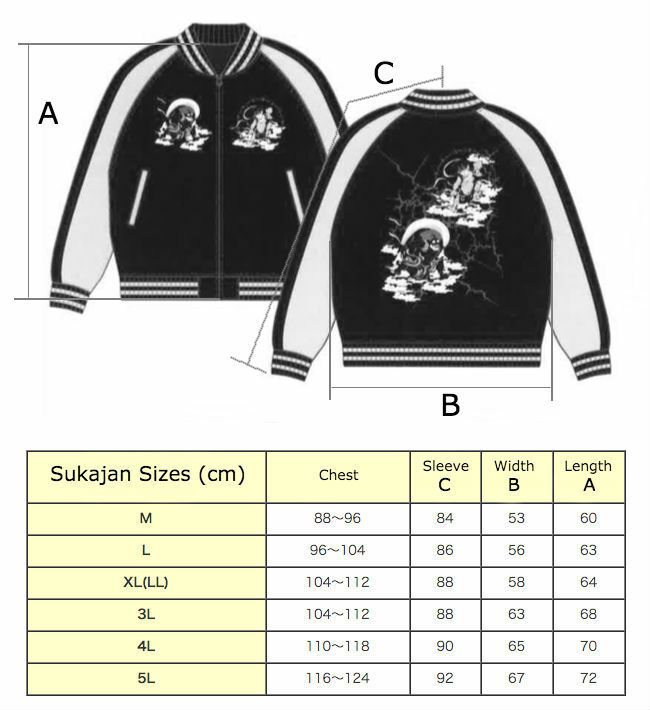 er size coz it's Jpn sizing.